Both cosmopolitan and architecturally diverse, Lisbon has fast become the haunt of avid foodies, night owls and history buffs alike – and that’s not to mention those who come for the city’s beachside location. Alongside the Moorish building designs and famous tile shops, the dynamic Portuguese capital is even creating its own burgeoning dining scene. Gourmet farmers’ markets rub up against traditional tabernas along the Atlantic seafront, as slick cocktail bars and concept eateries spring up all over Bairro Alto and the docks. 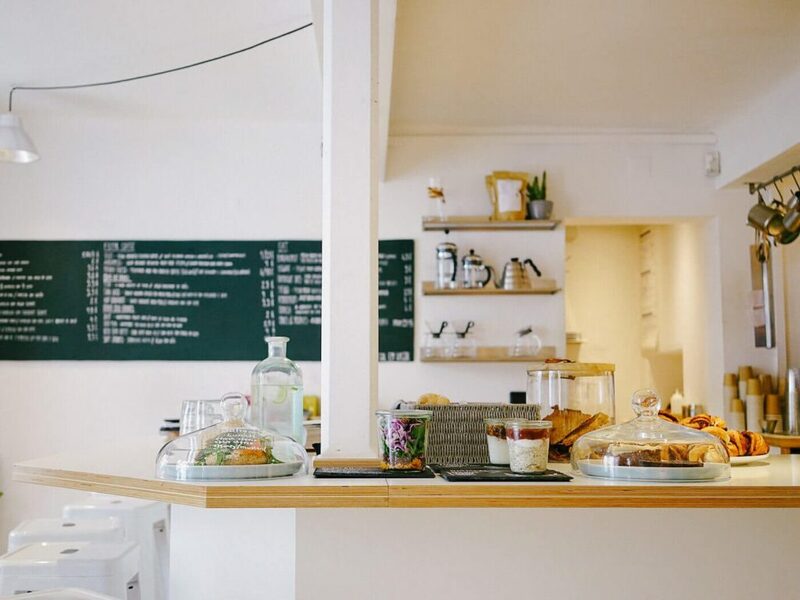 Nestled among these new pop-ups and famous chef-helmed restaurants is the unassuming Copenhagen Coffee Lab, bringing a little Scandinavian flair to Lisbon’s sun-drenched streets. Since its inception just two years ago, this contemporary cafe has quickly become one of the most popular spots in town. We sat down with Lab’s Christina Pinto Kronback to find out what’s making coffee lovers gravitate to Lisbon’s Nordic café. “First and foremost it has to do with our excellent coffee, then our interior, which was very unique when we opened in 2015,” Kronback says. ​“It’s almost all white, very minimalistic and Scandinavian, which instantly makes you want to stay, relax and enjoy your coffee.” We tend to agree: with bespoke single-origin grains, delectable pastries and delightful staff, who wouldn’t want to linger? A Nordic retreat in the heart of Portugal. All photos by: Anna Sarcletti, Salt and Wonder. In a different age, an invasion of Danes on mainland Europe meant the establishment of a new world order. 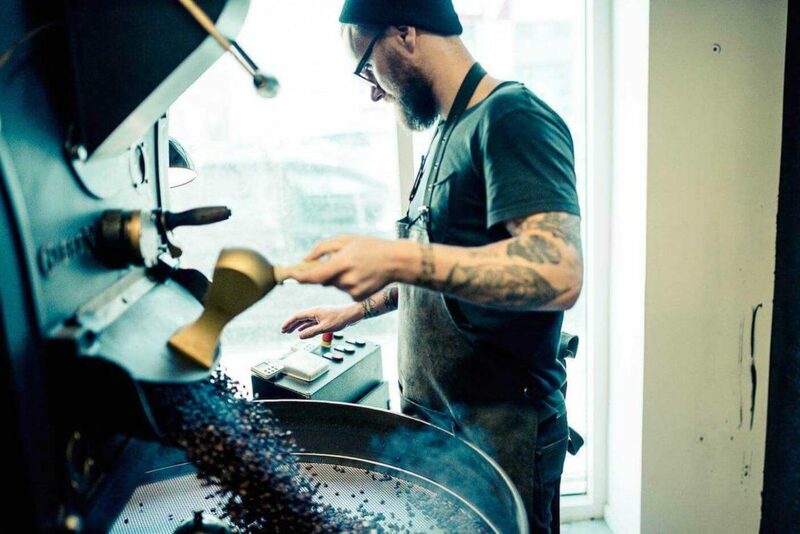 But when they made their move from the Danish capital to Lisbon, the team behind Copenhagen Coffee Lab simply wanted to take that viking spirit and channel it gently into coffee – bringing Nordic techniques and know-how to a Portuguese crowd. Serving up a slice of Denmark to a mostly young and professional clientele, the Lab champions tailored roasting and V60, Aeropress and cafetière filtering techniques. These techniques fit in nicely with Lisbon’s import-heavy coffee scene, so it’s no wonder that their fusion approach is earning them critical acclaim, with the Lab placed as runner-up for Brian Coffee Spot’s Best Overseas Coffee Spot Award in 2016. Futuristic-looking coffee machines in the Lab. Emulating Copenhagen’s relaxed cafe scene, the Lab stands out in Lisbon’s sea of coffee shops for its cool interior, generous service and eclectic drinks menu. The coffee beans are brought in from the Lab’s eponymous micro roastery in Copenhagen and hail from locations as far-flung as Ethiopia and Guatemala. From the beginning, Copenhagen Coffee Lab has been at the forefront of Lisbon’s coffee revolution, encouraging locals to step away from what they thought they knew about their early morning fix. ​“We do our utmost to guide our clients, whether they’re coffee connoisseurs or not, to try something new,” says Kronback. So, what’s hot on the menu? ​“The cappuccino is the one coffee that people tend to order the most,” says Kronback. ​“There’s not too much milk in it, contrary to the latte, making it more creamy and appealing,” says Christina. Opt for an Ethiopian blend with honey tones or a smooth-finishing Brazilian roast. Laid-back seems to be the name of the game at Copenhagen Coffee Lab. It’s cool, bare and basic, with cosy nooks, monochrome tiles and a distinctly Scandi feel. The main coffee shop is a stark white oasis; an escape from the endless sunshine that beats the pavement outside, while a windowless back room offers solitude for busy workers taking a break from the office. There are tall stools lined up against the L-shaped bar and a cushioned window seat for easy people watching. A simple black chalkboard reveals the dishes and drinks of the day, with glass domes filled with pastries decorating the counter. It’s called the Lab for a reason: there’s an innovative and experimental vibe that runs through everything here, from the communal tables set parallel to the walls, to the futuristic-looking coffee machines. The Lab doesn’t stay put either – you’ll often spot their truck cruising through the streets and setting up at foodie events. The team is even planning an expansion. “A lot has happened since we opened,” says Kronback. 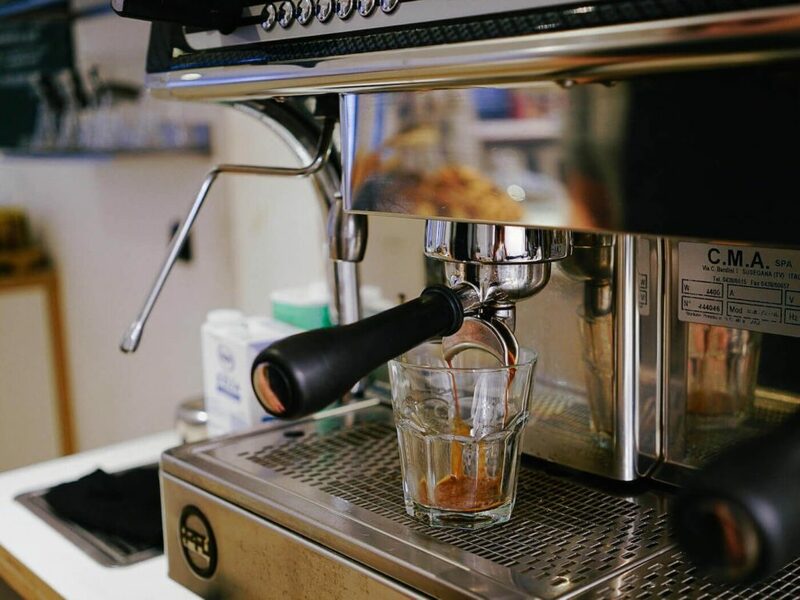 ​“You’ll be able to find our mixed coffee culture in more spots across the centre of Lisbon, as we’re about to open two new locations in Alfama and another one in Belém.” There’s certainly the demand for it, with the speciality coffee movement not showing any signs of slowing down. If she had to describe Copenhagen Coffee Lab in just a few words? ​“Quality, laid-back and deliciously good.” And as far as we’re concerned, the Lab is just that.